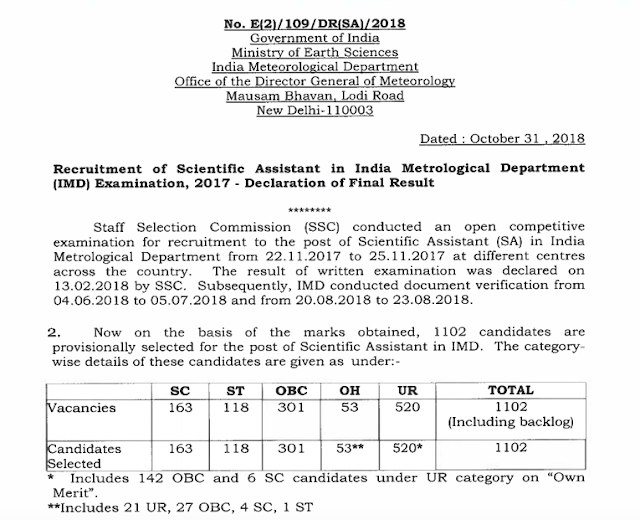 SSC IMD 2017 Final Result PDF Download: Staff Selection Commission (SSC) conducted an open competitive examination for recruitment to the post of Scientific Assistant (SA) in India Metrological Department from 22.11.2017 to 25.11.2017 at different centres across the country. 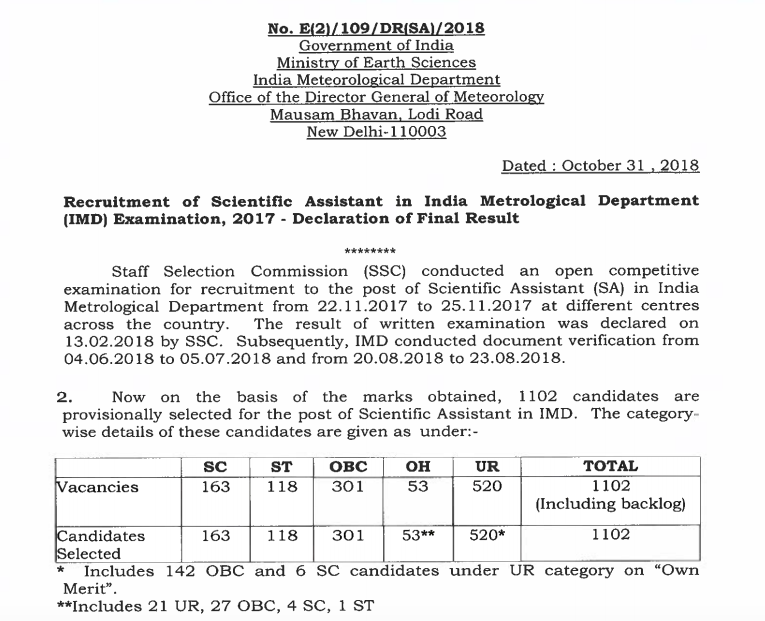 The result of written examination was declared on 13.02.2018 by SSC. Subsequently, IMD conducted document verification from 04.06.2018 to 05.07.2018 and from 20.08.2018 to 23.08.2018.